1. With Daniel Craig on the way out after his explosive performance in the fall film "Spectre," folks are beginning to get curious as to who the next 007 will be. Though another Bond flick isn't slated yet, it'll likely come in late 2017 or 2018. Who will be man (or woman) for the job is also up in the air. Who would make a good James Bond? Michael Fassbender - he was the titular tech mogul in "Steve Jobs". Idris Elba - he was in the franchise "Prometheus". Emily Blunt - she was in the film "The Five-Year Engagement". Tom Hardy - he was in the recent films "Legend" and "Bronson". David Oyelowo - he was in the movies "Interstellar" and "Selma". Hugh Jackman - he's done everything from theater to high-budget action franchises. Henry Cavill - was in the movie "Man of Steel" (Superman). Benedict Cumberbatch - he was in "Sherlock Holmes" and the "Hobbit" trilogy. Damien Lewis - he is in Showtime's "Homeland". Rebecca Ferguson - in the movie "Mission Impossible". Daniel Day-Lewis - a very bold choice as James Bond. 2. Do you think the next James Bond should be a female actress instead? 3. If it ain't broke, don't fix it. Craig signed an extension in 2012 that technically included "Spectre" and one more film as Bond. Don't be surprised if we get more of what's possibly our favorite 007 yet, considering "Skyfall" grossed more than $1 billion and "Spectre" already pulled in half that in just over two weeks. 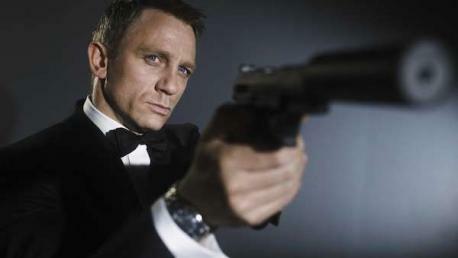 If it is possible should Daniel Craig remain as James Bond 007?